Many thanks to Silverbridge Harps for hosting a highly entertaining final. 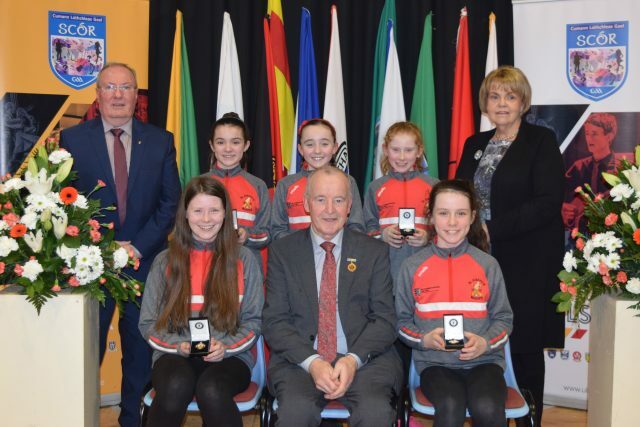 Ulster GAA President Michael Hasson spoke of his delight at the standard of competition and the effort going into preparing young people for Scór. Huge congratulations to Madden who won the Ceol Uirlise, beating off strong competition. Well done to all other acts who represented our County with pride and distinction today and throughout the last few months, you can all be immensely proud of being County Champions and Ulster finalists – Cailíosa Ní Dhúill (Whitecross), in Amhránaíocht Aonair, Éilis McCreesh (Cullyhanna) in Aithriseoireacht, Killeavy Ceilí dancers and Carrickcruppen Ballad Group. Good luck to Madden who join our Quiz champions Killeavy in the All Ireland Finals in Castlebar on Saturday 16 February. Go n-éirí leo.